Grab your daubers because it’s time for BINGO! Bingo Maniacs is a weekly event happening every Wednesday night at 6:00 PM PT/ 9:00 PM ET. Join the Bingo Maniacs Group for weekly event invites and more information. 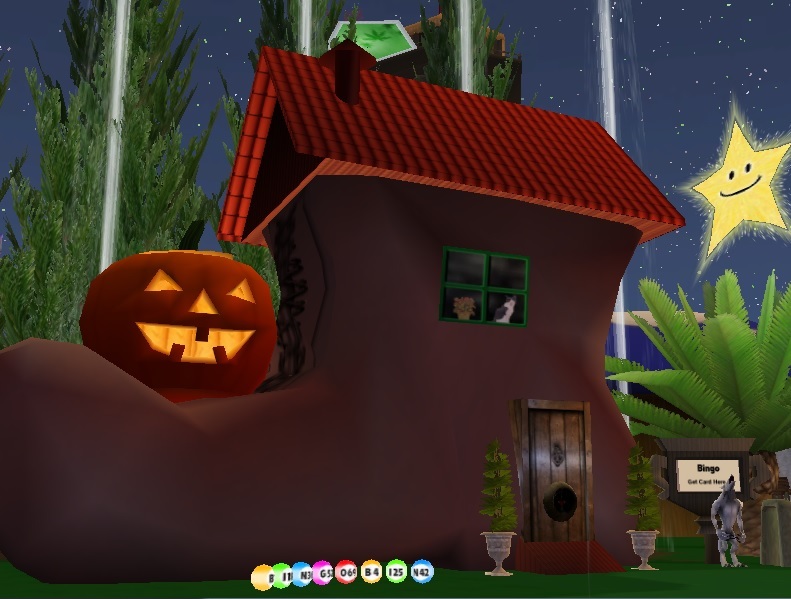 BINGO Maniacs is hosted in a different location in the virtual world There.com every week in order to highlight fun areas to visit. You could find the next game in a Neighborhood, FunZone, FrontierZone or at someone’s Clubhouse. The group’s goal is to bring the joy of bingo to everyone! The player uses a 2-D platform www.therebingo.com to play the game while sitting and visiting with other Thereians in the 3-D virtual world of There. All you have to do is go to the Bingo Maniacs website and register for an account prior to the start of the game. The winner of each round will receive 1,000 Therebucks to spend on virtual items. There is also a progressive pot which will increase each week until someone wins it. If you’d like to host BINGO Maniacs in your zone or sponsor a game, please contact Noxy, PrincessPebbie or Coolnet560. It costs 10,000 Therebucks to sponsor a bingo game. Sign up for the next BINGO Maniacs event! Good luck to all of our players. Do you have a case of the Monday’s? Cheer yourself up with a 3-D game of virtual BINGO in There.com! Grab your dauber and join your host Susanszy on the There Party Barge for a game of Ultimate There Bingo. Join the Ultimate There BINGO club in There to receive group emails and event invites. You’ll need to create an account and register for the online BINGO game. It’s a good idea to be registered for the game ahead of time and ready to go when the first number is called. You can register your Ultimate There BINGO account here. Good luck to all of our players! Got anything planned for Monday night? Grab your dauber and join a fun bunch of Thereians for Ultimate There BINGO! Weekly events are held on Monday’s at the There Party Barge in Comet and hosted by Susanszy. Meet new friends and win prizes! Join the Ultimate There BINGO club in There to receive group emails and event invites. You’ll need to create an account and register for the online BINGO game created by Percepti0n. It’s a good idea to be registered for the game ahead of time and ready to go when the first number is called. You can register your Ultimate There BINGO account here. Good luck to all of our players!